PURE SOLID BRONZE! 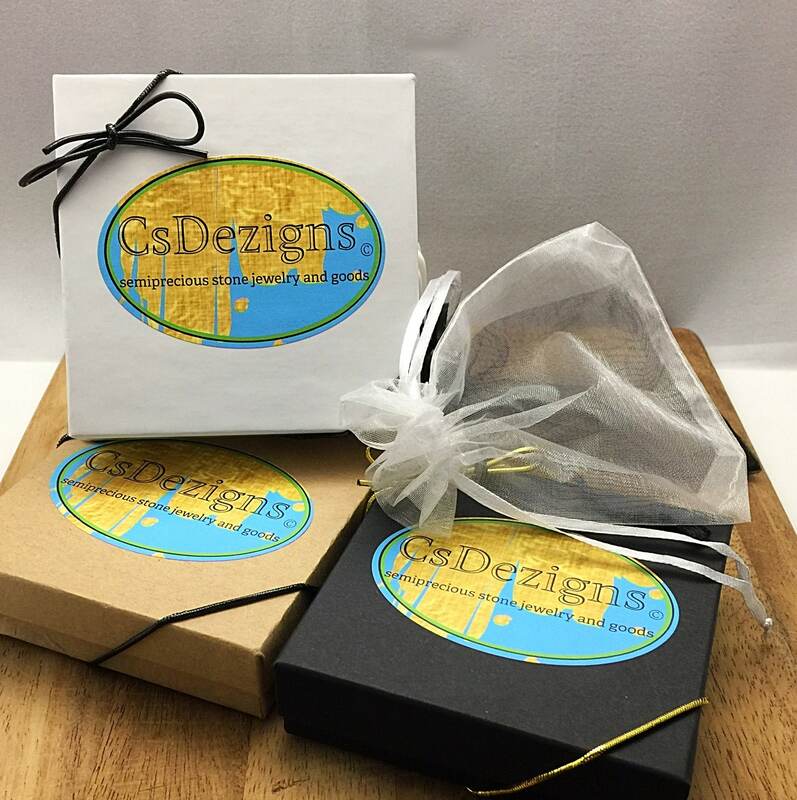 The look and durability of Solid Gold at a fraction of the cost. Safe to Swim, Sweat and Sun! 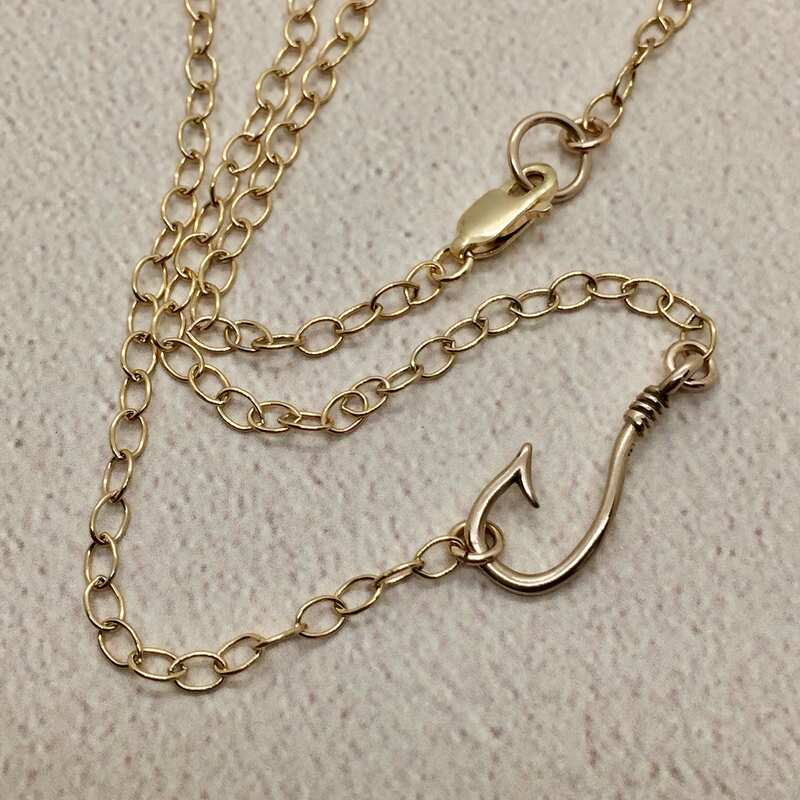 Make no mistake, this hook and chain are solid BRONZE, not a cheap 'antique bronze' imitation which is likely a zinc alloy. 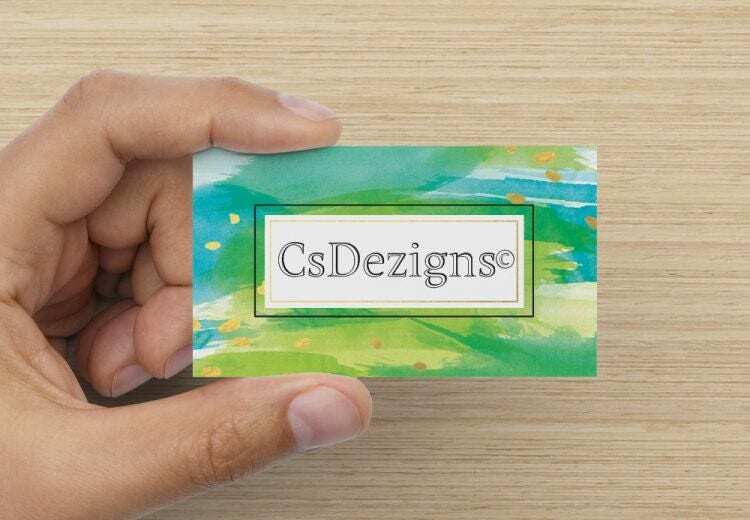 Bronze is usually four times more expensive than brass and 10 times more expensive than other popular zinc alloys that often call themselves bronze, due to the applied color. Bronze dates back to the Bronze Age, 3000 BC and is much strong and durable than zinc alloys. 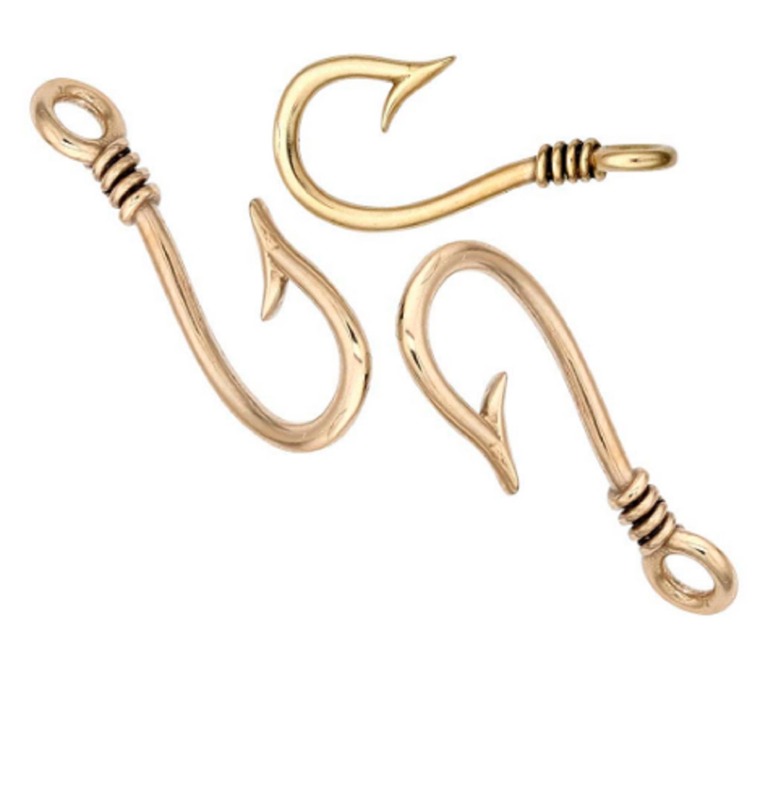 Fish Hook is 22mm x 9mm (a little under 1" inch). 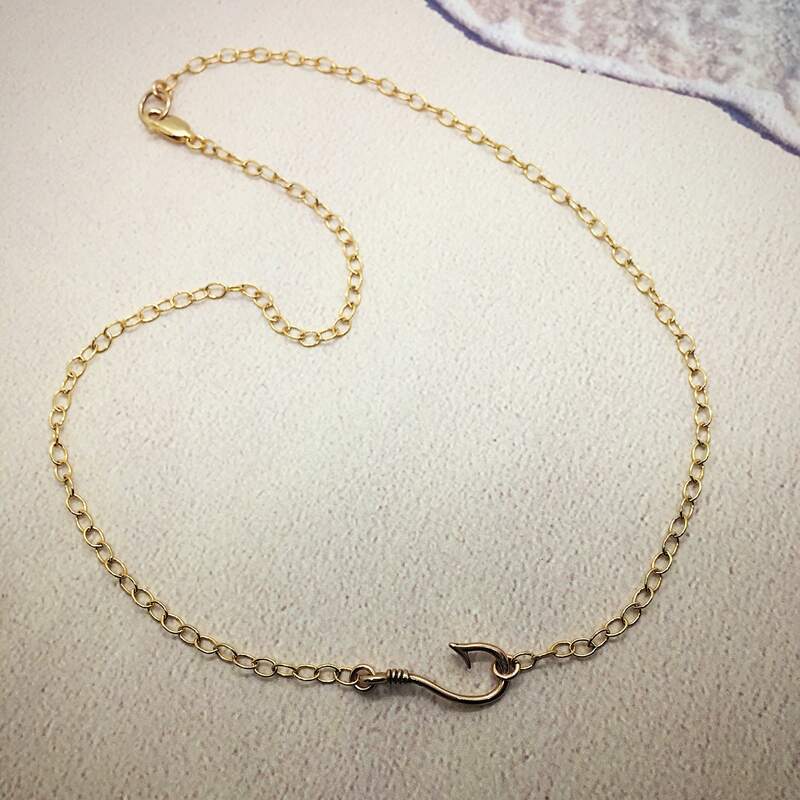 Bronze oval cable chain links are 2.7mm. 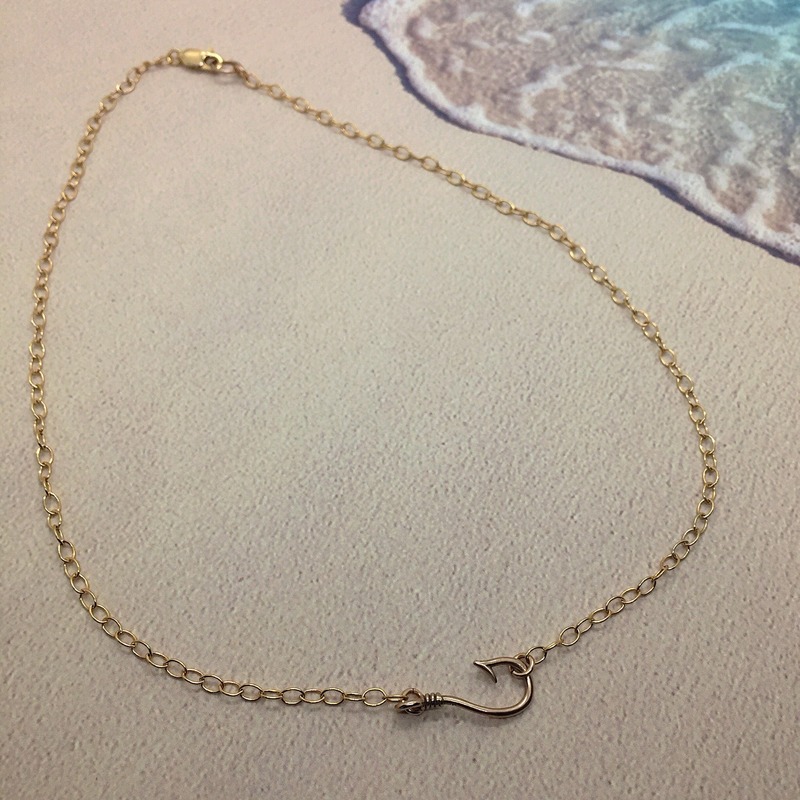 Lobster clasp is 14/20 Karat Gold Filled, not a lesser gold tone clasp. 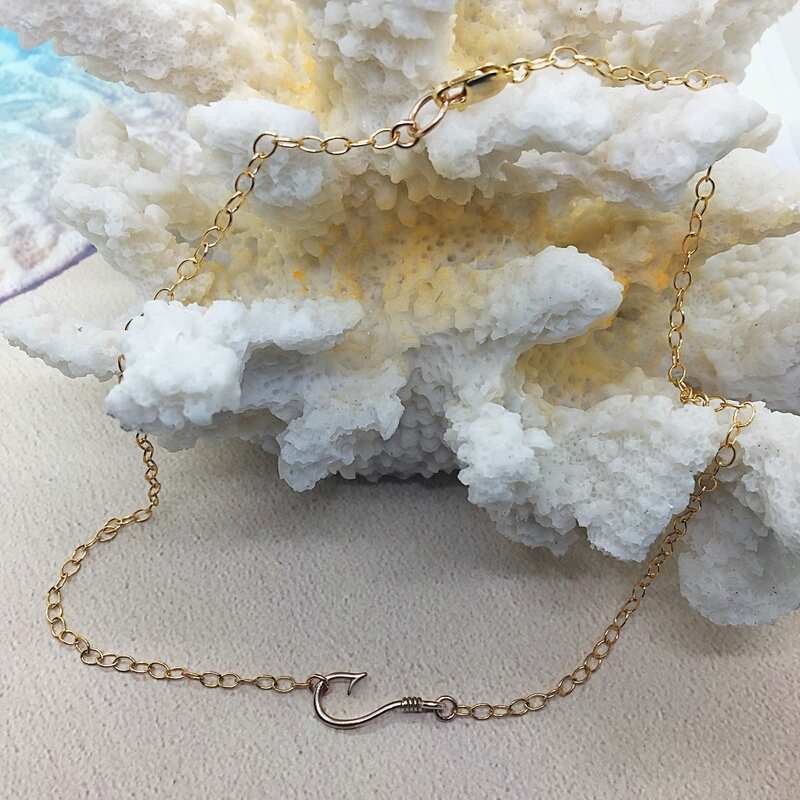 $55 for the fishhook necklace (shown). 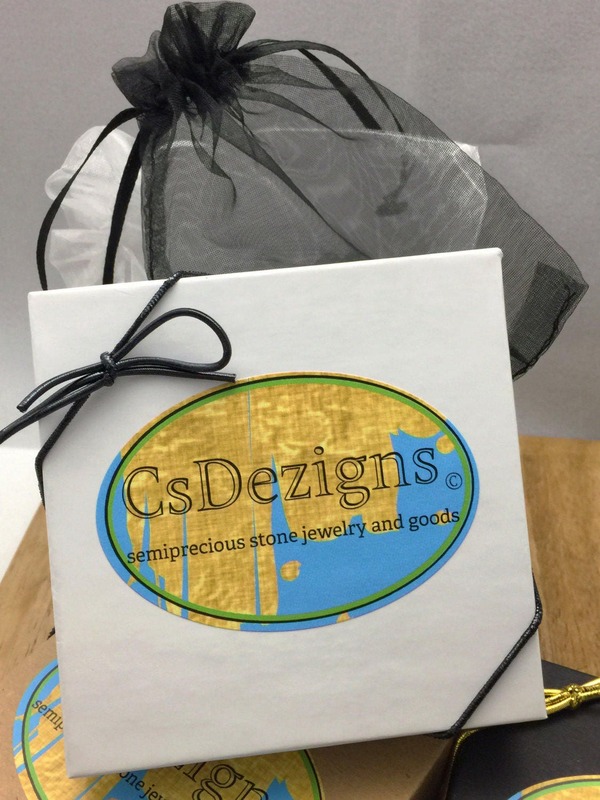 Will come package in a drawstring organza bag, in a gift box tied with an elastic ribbon. 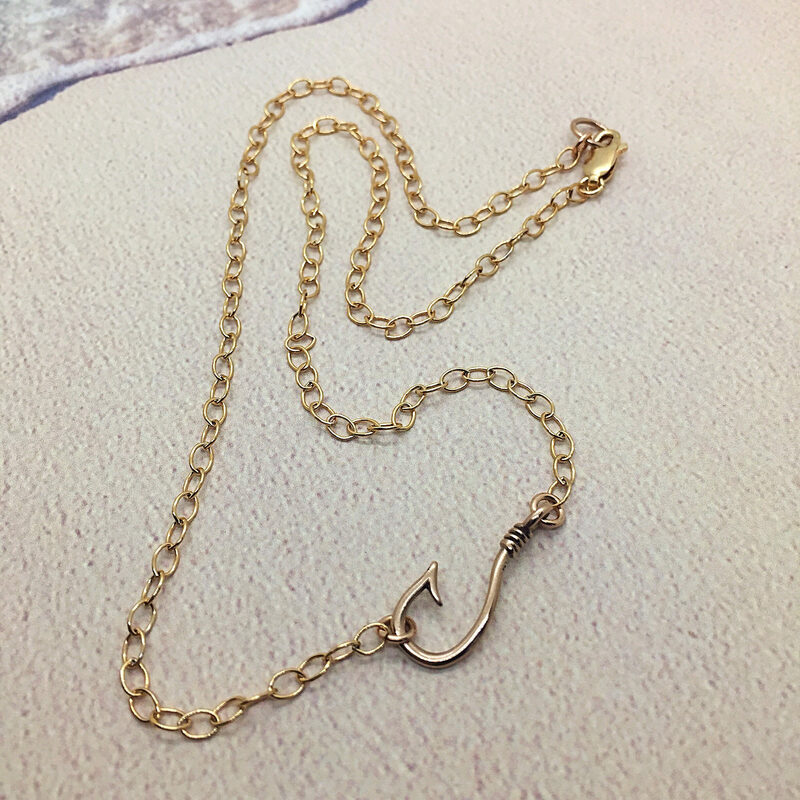 This beautiful Bronze hook is pure raw bronze, and will patina naturally over time; to maintain the desired color, please coat with lacquer or clear nail polish or maintain the glow by polishing with a cloth weekly.